Sailing during the autumn in the UK requires sustenance and the Chelmarsh Open was fortified by apple crumble, beer and honey! 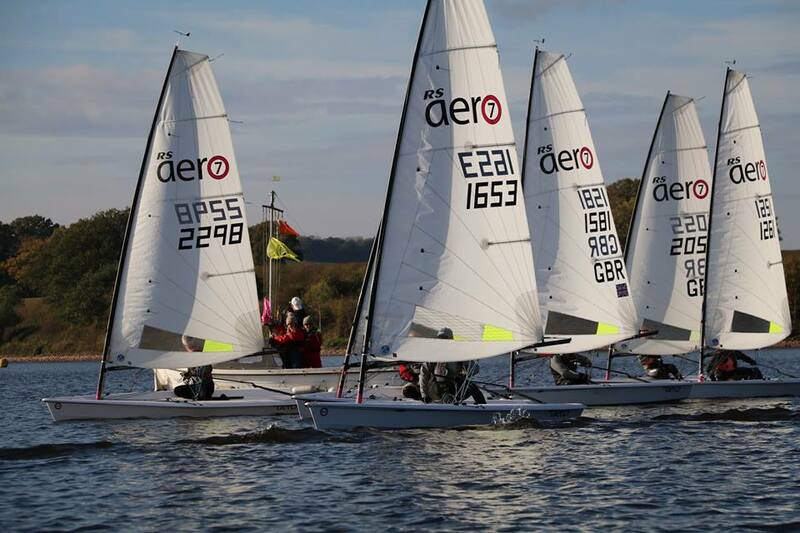 8 visitors from as far away as Yorkshire and South Wales joined 7 Chelmarsh RS Aeros for the 2018 RS Aero Open at picturesque Chelmarsh Sailing Club in Shropshire. In a light and shifty breeze, Race Officer Steve Taylor got the first of 2 morning back to back races off with only an individual recall for local Fleet Captain Dave Partridge! 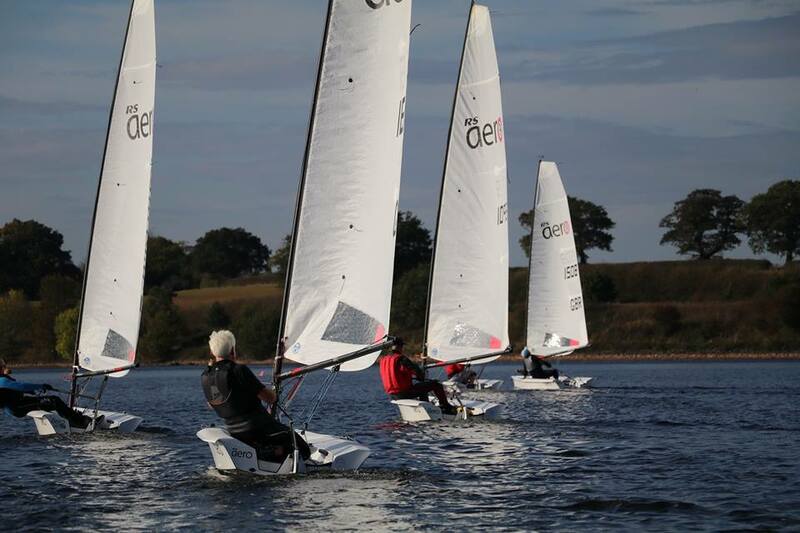 Huddersfield Sailor, Andrew Molyneux, sailing a 7 rig, started the day with the first of his 4 bullets and Phil White (Frampton on Severn SC) was first in the 9 rigs. 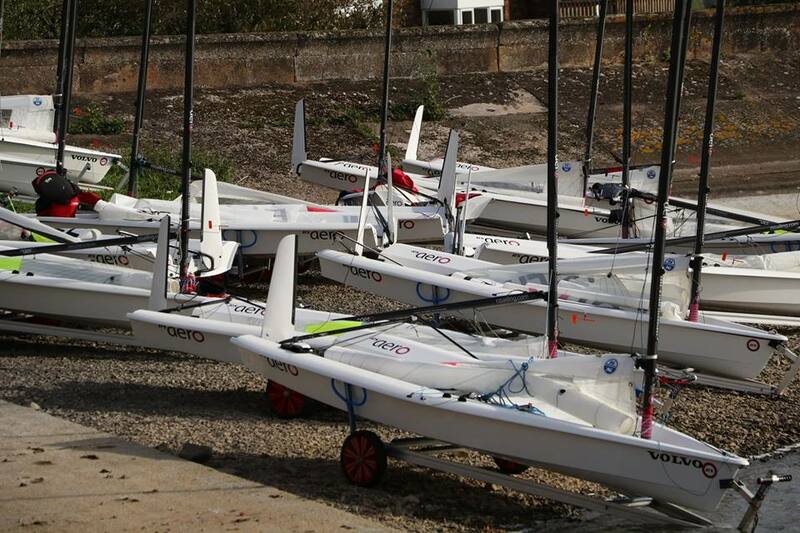 The wind strengthened and stabilised for the second morning race and Andrew and Phil repeated their wins. After a break for Chilli and Baked Potatoes followed by (free!) Apple Crumble from a fantastic Chelmarsh Galley, the fleets headed out for 2 more back to back races. 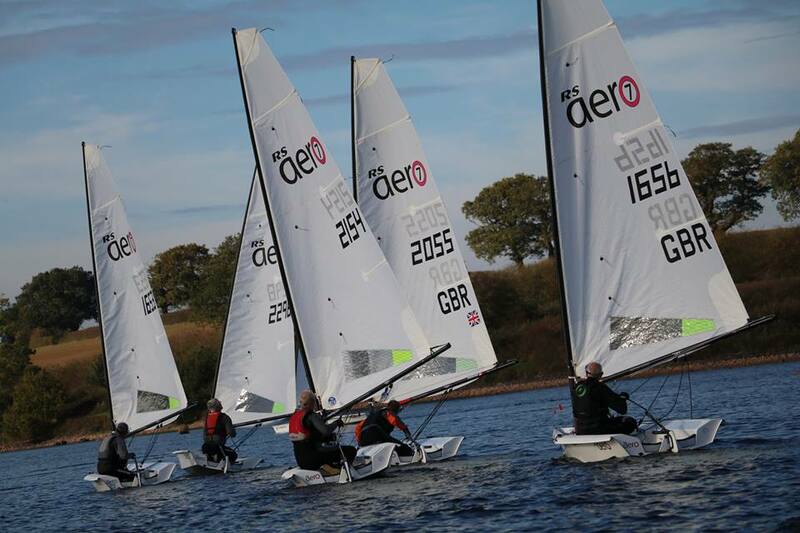 In Race 3, Andrew repeated the morning’s performance in the 7’s but it was Chris Abbott’s (Nottingham SC) turn to take the win in the 9 fleet. As the breeze started to drop away for Race 4, Andrew completed his clean sweep in the 7’s and Chris made it 2 from 2 in the afternoon in the 9’s. Chris’s result in the final race was enough to have him lead the 9’s overall. The winners were rewarded with a range of RS and local prizes including local beer and honey.